Aizawl, Nov 19 : More than half of the state's voters are women, but only six are in the fray for the 40 assembly seats. Women make up almost 51 per cent of Mizoram’s voters but they are still being treated as second class citizens, both politically and socially. 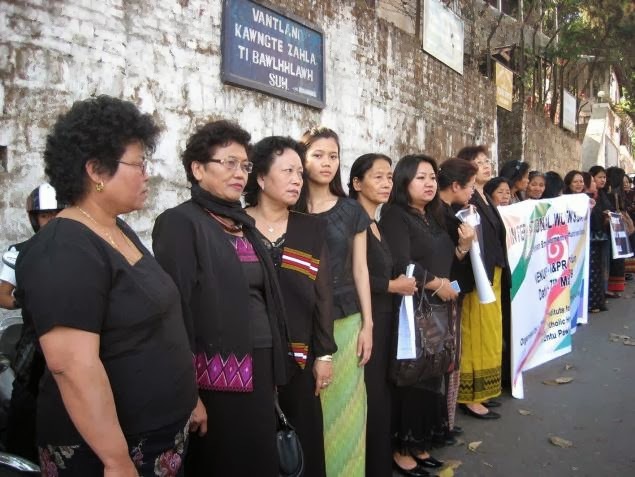 In patriarchal Mizoram, Mizos are guided by customary laws that deny women the right to inherit property among others. These laws give a Mizo man the right to marry a woman by paying a bride price of Rs 400 and Rs 20 as security deposit. In the event of divorce, a woman can get back her belongings by returning the security money. Earlier, the bride price was equivalent to a ‘mithun, a semi-wild bison valued highly by tribes in the northeast. The social codes find few followers in urban Mizoram today. But that hasn’t changed the status of women in the state which boasts of being the second most literate state in the country. Mizoram, which has 40 assembly seats, will go to the polls on November 25. Of the total 686,305 voters, 349,506 are women. Till date, only three women – Thanmawii and K Thansiami (both of the People’s Congress), and Lalhlimpuii (Mizo National Front) have made it to the assembly. Lalhlimpuii went on to become a minister. In the 2010 civic body polls which the Congress won, six of the 19 seats were reserved for women. This had brightened the hopes of groups fighting for women empowerment. But the excitement was short-lived as only six women have been fielded for the 2013 assembly polls. Altogether 141 candidates are in the fray. Political parties say they choose candidates judging ‘winnability’. In 1998, the Congress and the regional parties fielded 10 women. The number was seven and nine for the 2003 and 2008 polls respectively. 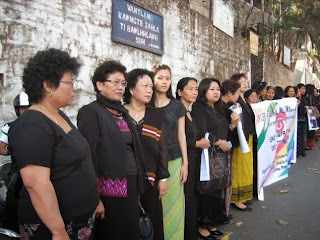 “The fate of women in Mizoram will change once the Mizo Divorce Bill and the Mizo Inheritance Bill are pushed through. The Bills will hang fire as long as women don’t have their representatives in the assembly,” said Mizo Hmeichhe Insuihkhawm Pawl leader Lalrintluangi.